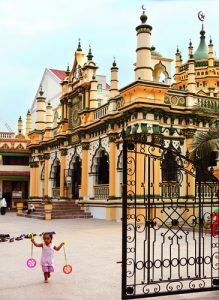 This month takes us to the vibrant, fascinating island country of Singapore. This city-state consists of one main island and 62 smallerislands located off the tip of the Malay Peninsula. 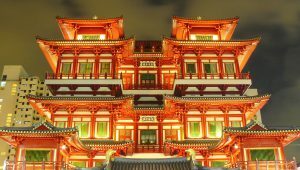 A melting pot of cultures, Singapore is a densely populated mixture of Chinese, Malay and Indian ethnicities with significant expatriate populations from many other countries. A city of 5.5 million people, Singapore is nevertheless known as the ‘garden city’ due to it’s extensive parks and green areas. For many years it was the world’s busiest port. Now, at number two, according to Forbes, it is remarkably clean, with a low crime rate and high quality of life, due to strict laws and policies. 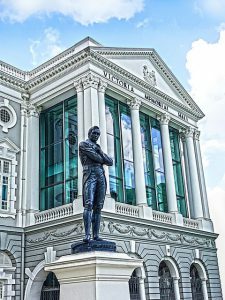 Singapore was established as a trading post of the British East India Company in 1819. It was previously populated by a few fisherman. The name, meaning ‘Lion City’, goes way back to when a prince by the name of Sang Nila Utama landed on the island and saw a creature which he thought was a lion. It is likely that it was a tiger or a wild boar as lions do not frequent the area, but the name ‘Singa Pura’ and the symbol of the lion have stuck. After annexation by Japan during World War II, Singapore became a British colony in 1945 until joining the Federation of Malaysia for two short years (1963-1965). Independent since 1965, Singapore has developed into a prosperous trade and financial center and is considered the gateway to South East Asia. 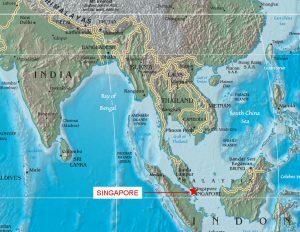 Singapore is located 1.5 degrees north of the equator and enjoys sunshine throughout the year. Short daily showers and thunderstorms are the norm, which contribute to the beauty of Singapore’s 50 parks and green areas. English is the common language, but most Singaporeans are bilingual and also speak Mandarin, Malay or Tamil. offered. Explore Chinatown, Little India, Merlion Park, Gardens by the Bay and the Waterfront Promenade to start. 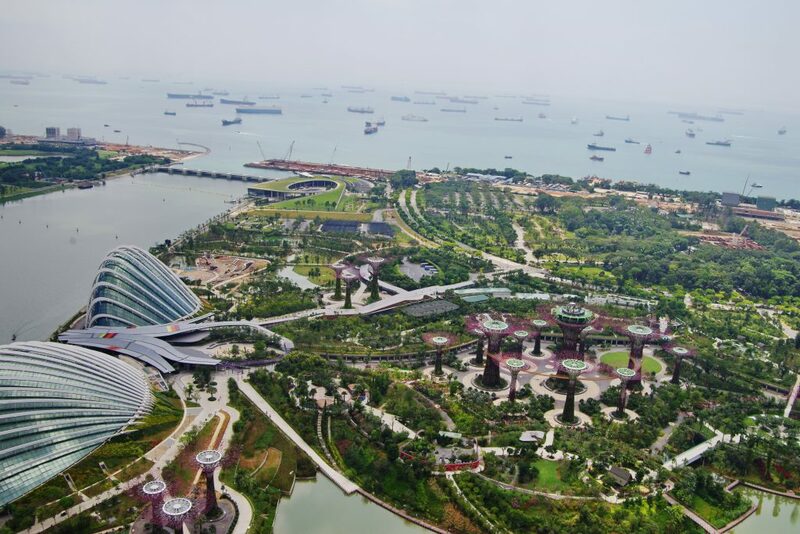 The Botanic Gardens, Jurong Bird Park and Singapore Art Museum should also be high on the itinerary list. Admire the ultra modern architecture of the Marina Bay Sands which contains the world’s largest atrium casino, shops, theaters, skypark and roof top infinity pool. There is a lot for us to explore, old and new, as we visit this spectacular destination. What beautiful pictures. I’ve wanted to go to Southeast Asia since the 1970s, but life took me in other directions. An Army buddy is retired in Thailand and keeps asking me to visit. Maybe when I retire. John, you have created a stunning website that has rekindled my traveling dreams. Thanks Gary! I hope you get to make that trip. Glad you enjoyed the site! I’ve always wanted to visit Singapore and it’s definitely on my list of travel destinations. I’m from Hong Kong and my parents would tell me the history of Singapore, how the policies are extremely strict and punishment is very severe for different crimes. But that’s good since it keeps the country safe relatively and people can live in a more peaceful environment. It’s really awesome to see a country like this get tourist attention because it definitely deserves it. Thanks for your comment Wing. The policies definitely do make it a cleaner and safer place to visit, but a tourist needs to be aware of the rules. I hope you will get to go there sometime soon! This looks absolutely stunning! Ugh, how much I wish I could travel to this part of the world and experience their rich cultures! It’s a dream I’m working on seeing to reality one day! I am glad you enjoyed the site Sarah. There are so many unique and spectacular places to see. I enjoy reading and learning about them, but, like you, I would love to just go! 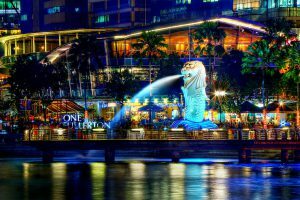 You have done an excellent job by highlighted the various popular spots around the Garden City, Singapore. Thanks a lot for the hard work in selecting those beautiful pictures for the website. On top of that, I would like to add an important event held yearly i.e. the Formula 1 Night Race. Something not to be missed if one is planning to visit Singapore in September. One other thing that is distinctively Singapore is that we are a multiracial society where the 4 different races live harmoniously together as one united people and as one nation. The race sounds exciting, and you are the second to mention it. The different ethnicities that make up Singapore definitely fascinate me. The fact that the different races blend and coexist so comfortably and peacefully is probably one reason that Singapore is such a thriving place.